Stay cool this summer with these tips from Harborside Village Apartments! Everyone wants a bright and airy apartment, but not many people think about how their wall of windows affects the temperature of the room. Blocking the heat from your apartment with blinds and black out curtains can help reduce nearly 15 percent of your cooling costs. Your ceiling fan may be your saving grace when it comes to keeping your air flowing but make sure it is going to right way. Ceiling fans are normally set to clockwise in order to disperse warm air around your home. But in the summertime, make sure to switch them to a counter-clockwise rotation so it can produce a cool breeze. During the summer months, families everywhere prefer to eat out at a restaurant instead of heating up their home with the oven or stove. But instead of wasting, even more, money, why not eat smarter by utilizing the summer weather? Use a grill to cook outside, make summer salads, or use your slow cooker for easy and cool summer meals. 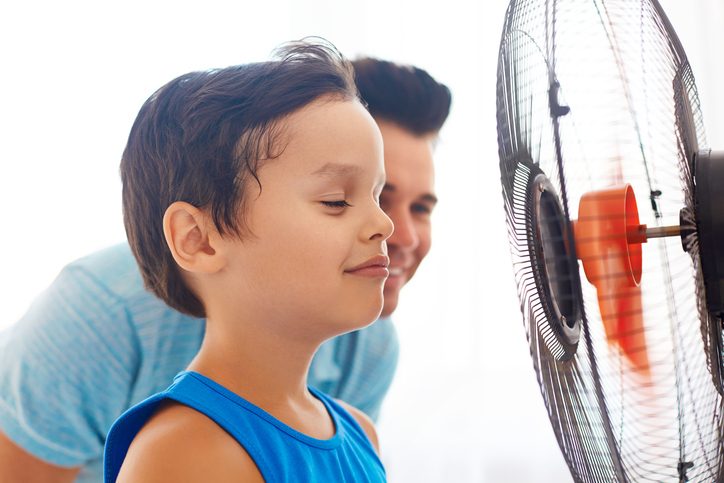 While your apartment may be hot, there are some things you can do to cool yourself down. Drinking plenty of water is the best way to keep your body cool against the summer heat. You can also wear lightweight clothing and use a cold washcloth on your head, neck, and wrists to chill your body. A cool bath can also be refreshing or try a dip in the Harborside Village Apartment’s pool. Beating the heat this summer could prove impossible if it also means breaking the bank. But when you use these tips, you will be able to save money and keep cool all summer long! Beating the Heat with Harborside Village Apartments! This entry was posted on Tuesday, July 19th, 2016	at 9:02 pm	. Both comments and pings are currently closed.